VOICES: School-Based Procurement Monitors: Friend or Foe? School-Based Procurement Monitors: Friend or Foe? School-based procurement monitors are community members who voluntarily monitor if education services, like school buildings and armchairs, constructed or delivered to the school are in accordance to set specifications and quality. 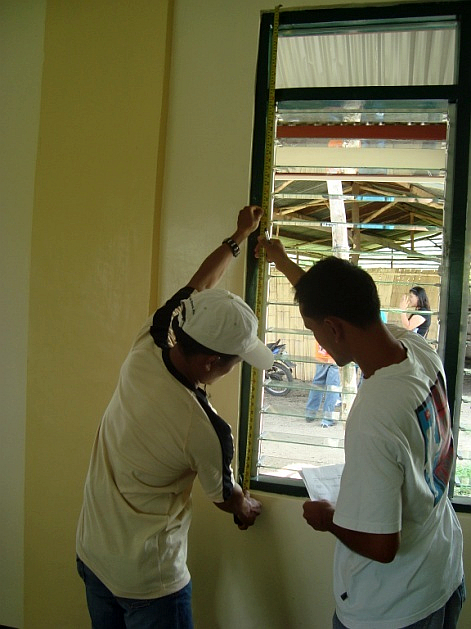 They use DepEd specifications (Program of Works and Plans for school buildings and technical specifications for armchairs) in order to assess the completeness and overall quality of the services their children, grandchildren, nieces, or nephews would be using everyday at their second home, the school. But, why are they needed? Are they really necessary? Doesn’t DepEd have its own arm of engineers and staff as its monitoring and evaluation branch? Wouldn’t these school-based monitors just be stepping on the toes of DepEd authorities? It’s all a matter of perspective. DepEd is by far the biggest bureaucracy in the Philippines and it is overseeing thousands of schools distributed in an archipelago of 7,100 islands. They have schools located in the city and others in completely remote areas or islands that do not even have phone lines or cellphone signal. 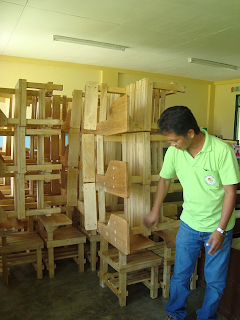 Even if DepEd has staff dedicated to ensuring the quality and quantity of education services, it is not an easy task. Who better to help them look after these services than the end-users and stakeholders themselves? School-based procurement monitors are there to partner with DepEd may it be at the Central, Regional, or Division level. They are the extra set of eyes and ears at the community level who would ensure the quantity and quality of school armchairs, school buildings, textbooks, etc. These school-based monitors have also served as the principal and property custodian’s back-up in deterring external pressures to accept the substandard goods and services. Gone are the days that civil society monitoring would mean faultfinding and witch-hunting; it is now a constructive engagement and partnership between civil society and the DepEd. In fact, DepEd encourages the participation of civil society through DepEd Department Order No. 59 s. 2007 that institutionalizes civil society participation in the procurement process and contract implementation stages. Guidelines for DepEd’s Basic Education Facilities Fund for 2011 and the Regular School Building Program for 2012 have clear provisions for the encouragement of civil society groups in monitoring the procurement and implementation processes in the spirit of transparency and social accountability. School-based monitors, friend or foe? You be the judge. Miss Riza Halili is the Deputy Team Manager of Cluster 1 of the Philippine Desk of ANSA-EAP.